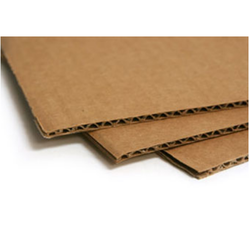 Exporter of a wide range of products which include packaging corrugated sheets. We offer a durable and qualitative range of plain Packaging Corrugated Sheets which are extensively used in various industries for packaging purposes. We manufacture high-quality corrugated packaging sheets for various uses at leading market price. Less weighted and are available in exclusive sizes.